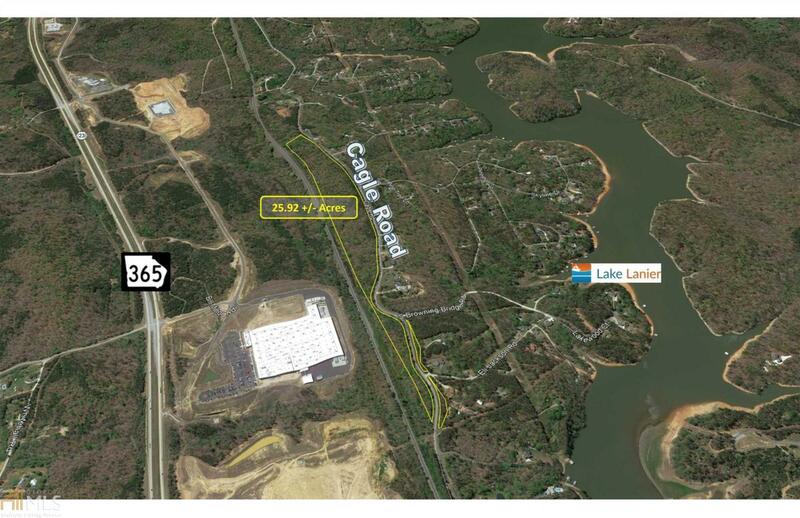 This 25.92 +/- acre tract boasts over 6,000 feet of frontage on Cagle Road which is just 7 miles from downtown Gainesville, GA. The property has very quick access to Hwy 365, the main corridor heading south to I-985 and to metro Atlanta. This property is well suited for residential lots very similar to what is directly across the street. Small Commercial or Industrial may have potential in this location as well. The site is wooded and the topography is rolling to sloped. Zoned AR-III. Seller encourages all offers. The subject property is located just off the rapidly growing I-985 / Highway 365 corridor on Cagle Road. The property is located in an area of explosive industrial and residential growth.